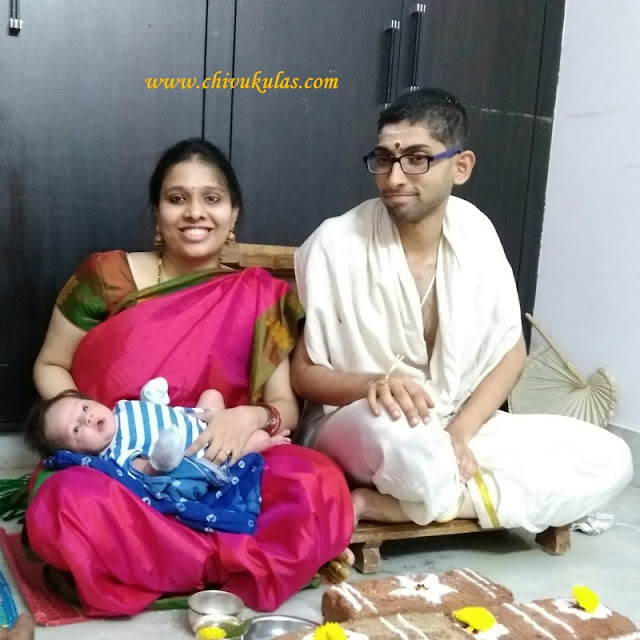 Namakaranam i.e the Hindu traditional way of naming ceremony is one of the very first ceremonies of a new born baby. 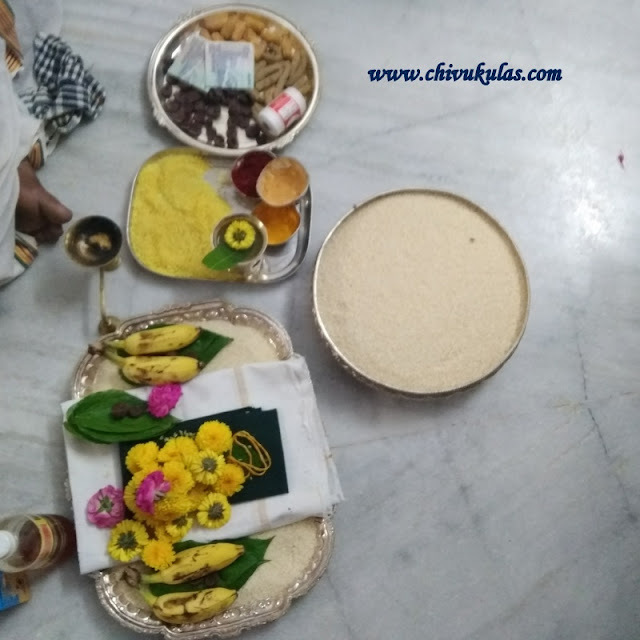 Mostly people perform this ceremony combined with cradle ceremony while those who are fond of ceremonies / functions, perform these separately on two different days. This is one of the most important samskaras of shodasa (16) samskaras i.e rituals. The ceremony has no religious significance but is socially and legally important. The Sanskrit word 'naama' means name and 'karan' means make or form. Namakaranam is a traditional Hindu way of naming the new born infant, as per Vedic / Sanatana dharma. Since time immemorial name to an individual had an impact on the progress of the society. In fact, name is one's social identity which helps one to earn fame. 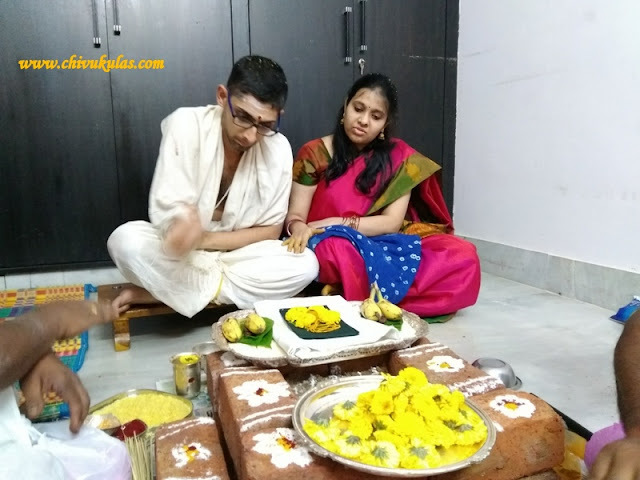 Hence naming ceremony has social importance and is an occasion of togetherness of family and friends who are invited to bless the new born baby. Namakaranam, 'Namakaran' in Hindi, 'Baarsaala' in Telugu and in Marathi it is known as 'Baarsaa'. Traditionally the ceremony should be held either on the 11th day or 21st day of the new born baby. Now-a-days due to societal changes, the function is being celebrated according to one's convenience. If not on the 11th or 21st day, this is done on an auspicious day in the 3rd month after consulting with the priests / astrologers. Initially the couple perform Vighneswara Pooja and punya havan (homam). In case, the baby is born in a 'shanti' nakshatra (star), then father has to see the reflection of the baby's face in sesame oil or cow's ghee. After these events, the main event i.e 'namakaranam' is performed. Traditionally, husband and wife need to jointly discuss and name the child as per their likes. It is a culture to add grandfather's (paternal) name either fully or partially to the name of the newly born boy baby and grandmother's (paternal) name to the girl baby. However, it's the wish of the couple who jointly take the decision of naming their child. 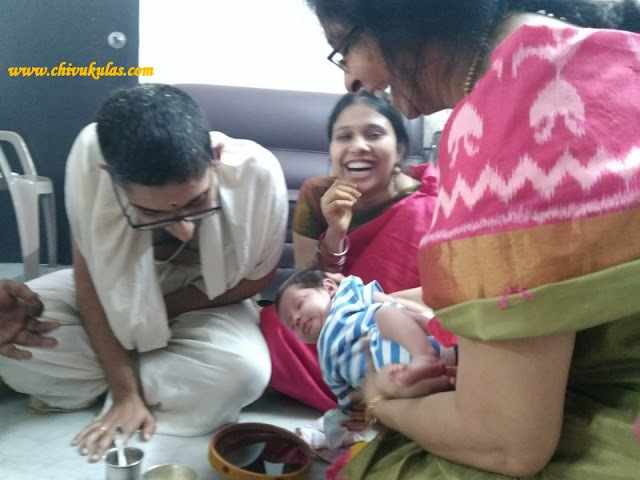 For the main event i.e naming ceremony, as per custom the father of the newly born baby writes the name in plate full of rice grains. As per the instructions of the priest, the father of the new born, writes the name of the baby on the rice grains with a gold ring held in his hand (however, writing with gold ring is not mandatory) while the priest chants sacred mantras. Once this is done, the grandparents, great grandparents of the new born baby and the family members bless the baby and couple with 'akshantalu' and offer gifts. This completes the ceremony of 'namakaranam' and all the gathered guests enjoy a sumptuous feast.